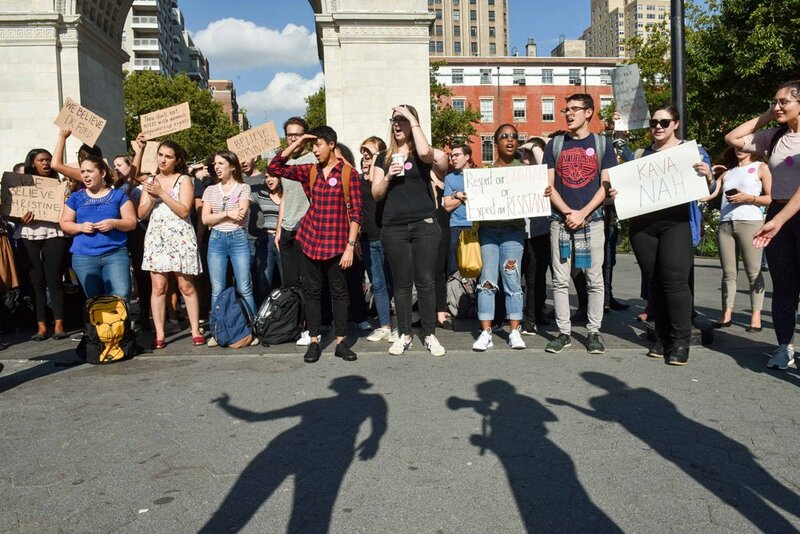 Law students from NYU, Cardozo and other schools walk out the appointment of Justice Brett Kavanaugh to the U.S. Supreme Court during a rally in Washington Square Park, Manhattan, on Wednesday. The National Lawyers Guild, organized what they called “a three day strike protesting the confirmation.” Brooklyn Law School, Columbia Law School and City College of New York are also participating. The local protests are part of a nationwide event involving law schools around the country. The names of the 1,843 candidates who passed the most recent bar examination.